JE Made Knives offers the classic Loveless New York Special in a slip joint platform with premium modern materials. This knife has exceptional fit and finish and the walk and talk to prove it! 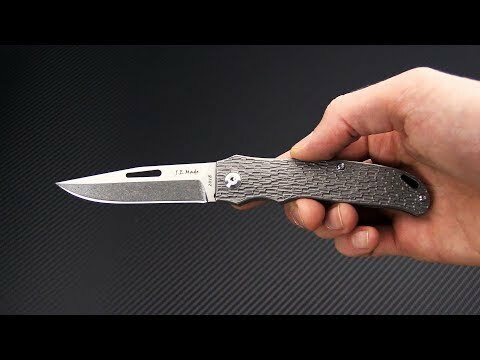 This version comes with bead blast finished titanium handles with jigged scales. Handle: The full titanium handles are clean and ergonomic with a subtle dual guard and heavily jigged texture for grip. A beadblast finish provides a matte gray finish that is discreet for use. The stainless steel back spring delivers a snappy action opening and closing and a generous key hole is included for lanyard attachment.